The banning on the registration of plots which are still unapproved is back in Tamil Nadu with full force. The Madras Court on Friday clearly ordered to restrain all registrations of plots which are still not approved or those who apply for the re-registration with pending layout approvals. The law has been confirmed for the next three weeks and till no further notice comes. Adding to the ban, the Justice M Sundar and the Chief Justice Indira Banerjee asked for all the details of the applicants of registration with unapproved plots in the violation of the court dated as on September 9, 2016, ban order. The legal justice has stated that the decision for these issues will be taken after a special sitting which will be organised either on May 4 or on May 5. The law has turned sour after the case that held on September 9, 2016, when the Chief Justice Kishan Kaul rapidly approved all the registrations of the plots which were still not approved or of those who tried to convert farmlands into housing plots without following the rules and regulations. Also, the bench held responsible all the officials who were personally liable for the violation of rules and regulations. 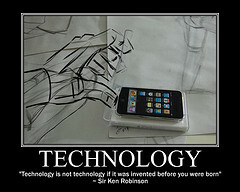 AMP Technologies plans of a worldwide –expansion of its services to the real estate investors. 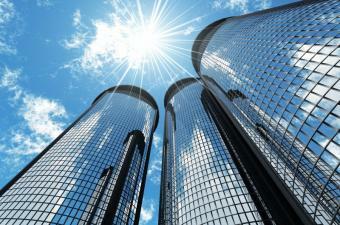 The firm aims to help the real estate investors across the world. Finally Real Estate is to be supported by techies. Sabeer Bhatia- led AMP Technologies, a software and Services Company, has announced launch of its office in India. The firm has plans to employ nearly 1,000 employees by the year 2015. Recent trends in Chennai real estate show that it will stand with Bangalore real estate. How far it will take place? Following comparative analysis will tell you how far. Chennai and Bangalore are two prominent South Indian cities which generate new business. Both the cities have witnessed a higher level of growth in the recent past yet Chennai real estate stands little higher. Surging Housing Shortage of India. 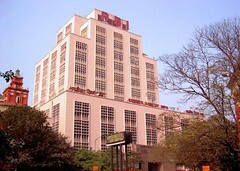 Reliance Capital prepares to launch its maiden real estate focused fund of र 1,000 crore by the end of the year 2012. Reliance Capital is owned by Anil Dhirubhai Ambani (ADA) Group. This maiden launch of Reliance Capital in the realty industry will be done under the surveillance of Reliance Portfolio Management Services (PMS). The new fund will aim at constructing residential properties. The investment will be concentrated in the cities like Pune, Chennai, Bangalore, Mumbai and Delhi primarily. Reliance selected these cities as the real estate markets of these cities are more firm and have an increasing value appreciation. Anand Rathi Financial Services and property consultancy Knight Frank India are planning to launch their second real estate fund by end of this months and looking to raise around Rs 500 crore (~$100 million), sources close to the development told VCCircle. Unlike its peers who are hitting foreign shores to raise new funds, the joint fund rental yield and appreciation portfolio (RYAP) fund will be raised from the domestic market. Like its predecessor, it will invest in commercial assets in tier I cities which include Mumbai, Pune, Bangalore, National Capital Region (NCR) and Chennai. In April 2, markets regulator Securities and Exchange Board of India (Sebi) had unveiled its final norms to regulate AIF’s in the country. Fund managers expect the detailed guidelines to be issued in the next two weeks. Knight Frank India and Anand Rathi Financial Services had joined hands two years ago to raise Rs 225 crore rental yield fund. It has invested Rs 135 crore from the existing fund in two projects including Hub town Ltd’s commercial project in Mumbai and Cerebrum IT park development by Pune-based Kumar Urban Development Ltd.
Hyderabad has emerged as the world’s third most affordable office location in 2011 in a list prepared by global realty consultant DTZ, which has also named Chennai and Pune among the top five such positions. According to DTZ’s latest study ‘Global Occupancy Costs – Offices’, Surabaya in Indonesia and Qingdao in China were placed in the top two positions of the chart as the most affordable office locations in the world last year. “While Tier II cities in India and China dominate the list of top 10 most affordable markets globally, Surabaya in Indonesia remains number one,” DTZ said in the report. The consultant said Hong Kong, London, Geneva, Tokyo and Zurich were the five most expensive office markets in 2011. DTZ said Surabaya and Qingdao saw average rentals of $ 1,680 and $ 2,380 per workstation a year, respectively in 2011. Hyderabad, Chennai and Pune followed the top two places with rentals of $ 2,430, $ 2,570 and $ 2,590 a year per workstation respectively, it added. The study showed that Hong Kong was costliest office place with an annual rental of $ 25,160 per workstation in 2011, followed by London and Geneva at $ 22,590 and $ 18,740, respectively. DTZ, however, said many cities across the world are likely to witness decline in their rentals during this year. “Under the downside scenario, 2012 offers occupiers a window of opportunity in which to realise cost savings as rents decline… In the top five least affordable cities of Paris, Tokyo, Geneva, London and Hong Kong, office rents fall in 2012 under the euro break-up scenario,” it added. Occupiers in Rome and Milan are likely to benefit from falling occupancy costs over the next five years as sharp decreases in rents are expected in 2012 and 2013, DTZ said. It further said office rentals in low-cost Indian cities may see double-digit falls in this year. The jump in land, materials and labour costs has pushed property prices up by 25%-30% per cent and slowed the growth of the real estate sector in Coimbatore in the last two years. Property developers in the city believe that if the real estate sector has to grow at pace similar to that of Chennai, which despite the global economic slowdown, registered a steady growth quarter after quarter, as per the residential price index brought out by the National Housing Bank, the government has to develop infrastructure facilities, promote industries and improve water bodies. “There is not much space left for property developers inside the city. All construction activities are moving towards the suburbs,” said V Subramanian, president, Confederation of Real Estate Developers Association of India (CREDAI), Coimbatore. However, land prices have increased in the outskirts in the past two years. The cost of material and labour is also on the rise. This has seriously affected the middle income group, which is the major segment that invests money to buy property. Property developers have been forced to pass the cost increase burden on the people, which have slowed down the market. “Land costs have increased four-fold in Coimbatore, which is causing major problems for developers,” Subramanian said. Cement, which was costing Rs 190 a bag a year ago, is now available for Rs 300. Steel prices have increased from Rs 38000 per tonne to Rs 60000 per tonne now. Developers are struggling to control their costs and boost sales. Omkar Sankar, director, Sankar Foundation, said there is huge demand for affordable and low-budget houses in Coimbatore. But the jump in prices of affordable houses is now becoming a cause for concern, he noted. Flats that were sold for Rs 4500 per sq. ft. in Ramnagar area are now being sold for Rs 6500 per sq. ft. Similarly, in areas like Vilankurichi, Thondamuthur, Vadavalli, which are outside the city, costs have moved from Rs 2300 per sq. ft. to Rs 3500 and more. Though the recent lowering of interest rate by banks may bring some respite, developers are still in a wait and watch mode. The situation in Coimbatore is different from Chennai, which is well connected with infrastructure facilities even in far-off areas. There is a huge demand for housing in Coimbatore and in the next few years there would be at least a demand for 1 lakh housing units, said P Karthikeyan, Chief Executive Officer, Trishul Shelters Private Limited. However this would require good connectivity and infrastructure development in the suburban areas, which is lacking now, he said. Besides the developers have to look at ways to keep costs down by adopting innovative methods and different technologies, he noted. Paracor Capital has invested $20Mn in two residential projects of Chennai-based real estate developer Hallmark Infrastructure. Both these projects are located opposite Mahindra World City on GST Road in New Chennai, and involve a development of 0.8 mn sq ft.
Hallmark Infrastructure was established in 1998 and it became Hallmark Infrastructure Pvt. Ltd in 2005. It is a diversified group based in Chennai with presence in infrastructure projects, IT parks, townships, hospitality and serviced apartments. Paracor Capital Advisors is the Indian advisor to two Mauritius based investment companies – Paracor India Investments Limited, Mauritius, which focuses on private equity transactions and Madison India Real Estate Fund Limited, Mauritius which focuses on real estate and hospitality investments. This is Paracor’s fifth Indian real estate investment. Last year, it invested R55Cr for an 8% stake in Marvel Landmarks Pvt. Ltd, a realty firm backed by global asset managers Och-Ziff Capital Management Group. Other real estate investments include Arun Excello Homes, Daman Hospitality and Sabari Inn. This space has seen 12 investments amounting to $477Mn across 10 deals with disclosed values during the March quarter. The largest PE-realty investment announced during the first quarter of this year was GIC’s $100Mn investment in a Godrej Properties office project in Mumbai’s Bandra Kurla Complex-the only deal over $25Mn reported during the period. Other deals in the sector include ASK Property Advisors R40Cr investment in Paranjape Schemes’ residential project in Pune and Future Capital’s investment in Rustomjee Group’s project. Leela Kovalam, Noida, one of the top high-value sellers in Asia. The sale of Leela Kempinski Kovalam was among the top 10 hotel deals in Asia during the past one year, shows data from the US-based research firm Real Capital Analytics. Real Capital, which tracks and analyses real estate deals worth over $10 million across apartments, hotels, retail, industrial, office and development projects over the world, has also named Noida as a top site for sales in the development site category for a deal with the Wave Group for a mega mixed-use project. Mumbai and Bangalore also figure among the active office markets in Asia. 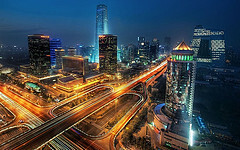 In apartments, Delhi and Mumbai are part of the top league in the year ended March 31, 2012. The Leela Kovalam deal, pegged at about Rs 500 crore, was the 10th in the Asia-list of largest hotel sellers during the one-year period. The Kovalam beach property was sold to Saudi Arabia-based industrialist Ravi Pillai last August. The other big hotel players in Asia which sold properties at high value include Japan Hotel, LaSalle, Kingdom Holding, Hines and Shui On Group. Even as Indian entities don’t figure anywhere in the top 10 global list vis-à-vis high value real estate deals in the financial year that just gone by, many of them have made it to the Asian hall of fame. Noida, the industrial development area next to Delhi, is fifth in the development site sellers’ list in Asia. This was for a deal with industrialist Ponty Chadha-promoted Wave Group for the mixed-use project, Wave Mega City Centre, at an estimated price of $1.4 billion (about Rs 7,140 crore at the current forex rate), according to Doug Murphy, director (analytics) at Real Capital. In the office space, Bangalore and Mumbai have been named among the most active Asian markets. “There were a number of locations for office sales in Bangalore and Mumbai, the largest being the Embassy Manyata Business Park transaction in Bangalore for about $537 million (Rs 2,738 crore) and Citibank building in Mumbai for about $224 million (Rs 1,142 crore),” Murphy said. Both transactions took place in August 2011. Delhi and Mumbai are part of the most active Asian apartment markets. While Delhi is ranked sixth, Mumbai is eighth. Tokyo tops the list in high value apartment deals, followed by Singapore, Hong Kong, Osaka, Beijing, Delhi, Fukuoka, Mumbai, Nagoya and Kuala Lumpur. India is nowhere in the retail top league where deals in Asia are concerned. Among hotels, Chennai is seen as an active market in the eighth position. Singapore leads as the most active hotel market in Asia, followed by Hong Kong, Shanghai, Tokyo, Beijing, Seoul, Osaka, Chennai, Kuala Lumpur and Suzhou. Chennai leads Indian Realty Sector. In a recent report, property broking and real estate consulting firm Jones Lang LaSalle said the Indian property market is poised to attract about US$3 billion, almost double last year’s US$1.6 billion, from overseas buyers this year. The Indian property market will see more investment from overseas this year as it still remains an attractive investment destination globally. Of this, one-third would be from home buyers and the balance from investors. This is despite the fact that property prices in India are at an all-time high. According to a recent National Housing Bank (NHB) survey, property prices in big Indian cities have increased by as much as 43 per cent to 166 per cent in the last four years. NHB, wholly owned by the Reserve Bank of India, lends to home-mortgage companies. It also regulates and refinances social housing programmes. In its report, the bank said Chennai had seen the highest rise in prices at 166 per cent. Bhopal was second with a hike of 117 per cent and Mumbai was ranked third with an increase of 87 per cent. What then brings overseas investment to Indian property, when prices are skyrocketing? The answer is simple: Despite the global turmoil because of the financial crisis, the Indian economy has remained robust, largely due to domestic-driven demand. According to Jones Lang LaSalle, India’s strong economic growth, rapid urbanisation, growing middle-class population, demographic advantage and increased thrust on infrastructure has worked in its favour. Buying property is especially popular among Indians living abroad, who all seem to want a piece of the homeland. That is why Indian property shows are burgeoning around the globe. Dubai-based Sumansa Exhibitions has been holding Indian property shows across five countries. And every year the number of developers taking part in the shows and the attendees has grown rapidly. This year Sumansa will hold the Indian Property Show in Singapore on April 14 and 15. It will be held at the Suntec Exhibition Centre’s hall 401 and nearly 40 developers from across India will be part of the show. More than 200 properties will be showcased during the two-day exhibition. Sumansa expects the number of footfalls at the event to be much larger than the 4,000 that turned up at its last year’s event. ‘Integrated Township of the Year Award’ received by the DLF Garden City Lucknow. Garden city is DLF’s first residential project, in the city of Nawabs – Lucknow. With almost 40 per cent of the area as open spaces and plot sizes starting from 250 sq. yards and above, the township conforms to very high standards of low density population norms. The facilities at Garden city match the international living standards and give the people of Lucknow their first real taste of an exquisite lifestyle. It boasts of meticulous town planning, eco-friendly infrastructure, wide open roads, its own smart sewage disposal plant, underground cabling and massive green belts running across the township. Garden city has bagged the “Integrated Township of the Year – North India” award at the Realty plus Excellence Awards 2012, instituted by real estate monthly magazine Realty Plus. Cheered by a galaxy of realty stars, luminaries and other stakeholders present from all over the country at a glittering award ceremony held in national capital at The Metropolitan Hotel, Bangla Sahib road, Garden city, Lucknow was chosen for setting new benchmarks for excellence in the Indian Real Estate industry in 2012′, their immaculate town planning and their outstanding contributions and efforts towards bringing about massive and positive changes in the real estate skyline of this region. Realtors ask for Better home loans and tax cuts. Realtors from Chennai are expecting the Union government to enhance the income tax exemption for up to Rs 3 lakh paid as interest on housing loans in a year from the existing Rs 1.5 lakh which will help to boost the real estate market. The Confederation of Real Estate Developers’ Associations of India have expressed that the realty sector and housing policy should be modified in order to address a huge demand of 26 million homes. “Inordinate delay in the sanction of approvals have hit hard. Provision of single-window clearance for real estate development projects is the need of the hour,” said CREDAI president T Chitty Babu. Also the 36-month holding period should be reduced to 12 months. 40 mn sq. ft. to be developed in next 5 years by South Asian Real Estate. At the launch of ‘Green Parc II’, which is the fourth phase of its 65-acre integrated township in Gurgaon, SARE Homes Chief Operating Officer Vineet Relia said, “We are looking at developing an additional 40 mn sq feet over the next five years. We are focusing on seven major cities in the country”. “In the near future, we plan to launch projects in Navi Mumbai and are looking to acquire land parcels on the growth corridors of large cities in India,” SARE Homes Executive Director David Walker said. Recently, the company has invested in eight projects in Gurgaon, Ghaziabad, Navi Mumbai, Chennai, Amritsar and Indore, representing around 36.5 million square feet. The monsoon is usually considered as a lean season in terms of sales for the developers. It’s not just the weather that affects the purchase of property, but also because it is considered inauspicious to buy anything for about two weeks during this period (because of shraadh or pitrapaksh). Buyers prefer to wait till the festival season to buy real estate. So, in order to increase sales, developers are willing to offer ‘monsoon discounts’. Many people postpone buying a house during these months. This adds to the existing inventory of the real estate developer. The builder, on their part, wants to get relieved from it so he can start a new project in the upcoming festival season. Also, they would need some liquid cash in hand for the new projects. While only a handful of developers advertise it as a ‘monsoon discount’, most are willing to offer lower rates to serious buyers. The significant of discount varies for different cities, depending on how badly it is affected by the monsoon. So, in Mumbai and Kolkata the quantum of discount is likely to be higher than that in Delhi and Chennai. In Mumbai, a buyer can expect discounts ranging from 10-20%, a Mumbai-based real estate marketing company. Besides the entice of discounted property prices, buyers can also avail of the monsoon special offers on home loans by banks. NEW DELHI | BANGALORE: Broker in Bangalore bylane has just opened a stationery shop. He has named it ‘Smart Shop’, borrowing the name from the realty brokerage firm that he ran from the same premises until about two months ago. He switched to retail after his property business hit a rough patch following a slump in home sales. About 03-quarters of his revenues came from sale of apartments, the remaining from renting. “With home sales dropping, it doesn’t make business sense anymore,” he says. It’s the same story in other big cities. In Mumbai, a mid-size broker has set up a small fast food joint to make ends meet. In Nagpur, a real estater has quit the real estate business and set up an ice-cream parlour. Their worries are not unfounded. While the large and established players in the property business have managed to stay, even during the slump, thousands of smaller players like brokers and agents are being forced to look for other jobs. It also hit lakhs of people employed with such small outfits – each of which hires 5-15 people.With many brokers closing shops or reducing size, these people are out in the market, looking for jobs in sectors such as retail, banking, insurance and call centres. The real estate industry employs about 10 lakh people across the country, the majority in the unorganised sector. In the first quarter of 2011, home sales dropped 17 per cent in Mumbai, 14 percent in Bangalore and 15 percent in Hyderabad. According to consultant Jones Lang La-Salle, unsold residential units in projects that are complete or are nearing completion in 6-12 months in Mumbai and Delhi-NCR are as high as 25 percent and 16 percent, respectively. In other big cities, including Bangalore, Chennai and Kolkata, the numbers range between 12 percent and 19 percent. Sales in tier-II and tier-III cities are steady, though there is some panic due to the increase in interest rates, which have climbed to about 11 percent from 8.25 percent a year ago. “For smaller brokers, the impact of the current market factors is a lot more compared to the larger brokers,” says the president of the National Association of Realtors India . “Even for our members – who are fairly well-off – business is down 40 percent compared to 2009-10. But the smaller guys are in trouble and are setting up businesses that move on a daily basis. Many I know have asked their employees to look out” Ravindra Bramhe, chairman of the Maharashtra Property Brokers’ Association, says. For whatever business is left in the market, there are hundreds of agents in queue. For instance, there are pockets on the Noida Expressway, near large projects, where real estate brokers can be seen sitting inside small tents, under the sweltering sun, waiting for business. Those who can’t afford to set up these tents can be seen on the roadside, running after every car that passes by, with brochures and flyers of projects in hand. Industry refers to them as the broker mandi. “All my friends and colleagues are now looking outside real estate before things get worse,” says Chaudhary. Many have returned to the insurance industry and others have found jobs with small call centres. A few have found employment with retail stores. with a total investment of Rs 100 crore” said, Sajid Dhanani, MD, Sayaji Hotels Ltd. The group is planning to expand its operations with a sports and cultural club, restaurant, mall, meeting and conference facilities and service apartments. “The demand for hotels and restaurants is increasing at a good rate in Pune. Dhanani’s estimate is 22 per cent as far as hotel business is concerned. Though supply of rooms in the last two-three years has increased considerably, the restaurant business is on the rise far more speedily. Moreover, Sayaji Hotels further plans to influence the brand image it has created in Pune by exploring in other locations like Bangalore, Chennai and Gurgaon wherein majority of its customers come from automobile, Information Technology and Engineering industries. It also has plans to expand Barbeque Nation brand from current 18 divisions in the country to around 33 divisions by the end of the year. The new Barbeque Nation restaurants will be opened in majorly in metropolitan seven cities such as Mumbai, Delhi NCR, Chennai, Bangalore, Hyderabad, Kolkata and Pune. The group’s turnover was roughly around Rupees 190 crore for the financial year 2010-11. ‘Inno GeoCity’; a residential project, is launched by Inno Real Estate in Oragadam near Chennai. This firm is a division of Inno while Inno is a , a global investment group focussed on Indian real estate with operations in India, Middle East and Europe. On Monday, Rajamannar Ramaswamy, the Group Managing Director said that GeoCity is the first own development project of Inno. Till now, they just used to fund other projects and they have already six Indian projects with a total gross development value (GDV) of Rs. 2,600 cr. Sajid Sathak, the Managing Director said that Geocity, which is spread over an area of 131 acres would be a self-contained township and that it would have a GDV of Rs. 750 cr. 4,000 residential units would be available for buyers plus amenities such as shopping mall, school and medical facilities would be there. The first phase of GeoCity will consist of 1,000 units and would complete within 1.5 years. The houses would fall in any of the three categories; Row House I, Row House II and twin house. The cost of houses would fall in the range of Rs. 17 lakhs to Rs. 22 lakh. Safexpress will invest nearly Rs 600 crore in the next two years to launch 32 logistics parks to double its warehousing space to around ten million square feet. According to Mr Vineet Kanaujia, GM, Marketing, Safexpress, The expansion will help the company reach revenue of around Rs 1,000 crore in the next two years from Rs 650 crore. Nearly one third of the new investment will be in the South. The company announced its new logistics park in Chennai at the Logistics 2009, a two-day seminar on logistics, organized by the CII Institute of Logistics. It has invested Rs 35 crore in the 3.86 lakh square facility, located at Vanagaram on the NH-5. The park enables loading and unloading of 134 vehicles simultaneously to ensure smooth and uninterrupted movement of goods, he said at the sidelines of the event. Mumbai is expected to see the highest demand for residential space of approximately 16.40 lakh units due to the large scale urbanization. The mid-scale and affordable housing in suburban and peripheral areas will be the focus of this demand. However, the demand for office space would be approximately 23.7 million square feet, which is lower than that in Bangalore, Chennai and NCR. The demand for hospitality in Mumbai is expected to be strong at over 98,500 room-nights, by virtue of the fact that the city is regarded as the financial capital of India and therefore the volume of both domestic and foreign business travelers is expected to grow steadily. Demand for retail is expected to be 6.19 million square feet. On the other hand, Pune is expected to see the highest compounded annual growth in retail demand at 51% due to the current favorable demographics. The total expected demand for retail in Pune is approximately 1.76 million square feet. Office demand in Pune is expected to be 21.7 million square feet. Bangalore emerges as a clear preference for sectors like office and retail, while it comes a close third in the residential and hospitality segments . Bangalore is expected to see the highest demand for office space in 2009-2013 of approximately 34 million square feet. The Chennai-based El Forge Ltd is selling its land at Thuraipakkam for ten crore rupees as part of its restructuring plan. The company, which made a loss of Rs 18 crore last year on a turnover of Rs 87 crore, will make a substantial profit on the transaction. Company officials do not want to disclose the profit figure, pending conclusion of the transaction. The transaction is likely to be concluded in October and as such, the profits will be reflected in the accounts of the third-quarter. The plant and machinery at Thuraipakkam have been moved to Appur, where a new facility has come up at an investment of hundred crore rupees. Mr K. V. Ramachandran, Vice-Chairman and Managing Director, said that the company is also shifting machinery from its leased facility in Gumidipoondi to Appur. It also has plant in Hosur. Across these plants, the company has an installed capacity is 21,600 tones a year. Affordable housing is the only solution for the middle income indians. 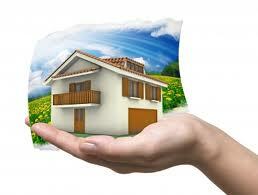 Most of the people are in search of affordable homes in metros particularly in delhi/ ncr, bangalore, chennai and pune. According to the report by Knight Frank Research Households with an annual income between Rs 3 lakh and Rs 10 lakh in Mumbai, NCR, Chennai, Bangalore, Hyderabad, Kolkata and Pune will need 1.65 billion square feet of space in coming couple of year. This trend may help developers to launch affordable house projects. But to make their projects more feasible, developers should think that their projects should not be in to far fringes area. It should be properly connected to the city and easy transportation should be available to the main places of the city specially the railway stations and airport.